The Shelter Medicine Program partners with the community to reduce pet overpopulation, enhance veterinary education, and improve the lives of dogs and cats. Tremendous growth in grass-roots sheltering efforts over the past several decades has saved the lives of millions of homeless companion animals. Meanwhile, the science and body of knowledge involved with shelter medicine has progressed to the point where the discipline is now recognized by the American Board of Veterinary Specialties. The first certifying examination was held in 2015. 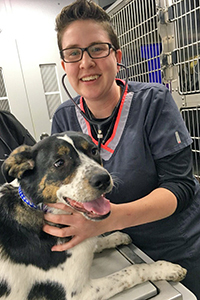 The goal of the Shelter Medicine Program at Illinois is to develop a talented pool of veterinary graduates who are well-versed in the tools available to improve the care of shelter animals and help reduce animal overpopulation. The program is actively engaged in the teaching, outreach, and research missions of the College of Veterinary Medicine and the University of Illinois. The mission of the Shelter Medicine Program at Illinois is to reduce animal overpopulation and to improve the health and well-being of animals in shelters through the advancement of the discipline of shelter medicine among veterinarians and veterinary students. The Shelter Medicine Program at Illinois engages students during all four years of the veterinary degree program. First- and second-year veterinary students may gain exposure to shelter medicine during a weeklong clinical rotation. Fourth-year students who take the basic shelter medicine rotation spend two weeks at Champaign County Humane Society and at other rural shelters in central Illinois. During that rotation, each student sterilizes more than 50 animals, on average. In the classroom, first-, second-, and third-year students can take “VCM 626 Shelter Medicine I,” an introductory elective course that uses the Association of Shelter Veterinarians Guidelines for Standards of Care in Animal Shelters as the textbook. Third-year students who want a more in-depth look at the discipline can take VCM 657 Shelter Medicine II, which focuses on sanitation, infectious disease prevention and control, and animal population control, important areas for veterinarians working with shelters. The Shelter Medicine Program at Illinois makes a significant impact on the lives of animals in central Illinois. We have experienced rapid growth in the number and locations for sterilization procedures. We spay and neuter shelter animals and owned animals brought to rural shelters that offer low-cost sterilization programs to people who cannot afford to have their animals sterilized. We also offer weekend community sterilization clinics for feral and free-roaming cats. * In 2015-16, veterinary staffing changes at CCHS resulted in a 33% decrease in the number of animals sterilized there; the totals for that year reflect an increase of 450 animals sterilized via the mobile unit, and a decrease of 700 animals sterilized at CCHS, compared with the previous year. As we help people with limited resources get their animals sterilized, we also educate these owners about proper health care for their pets and suggest that they follow up with a local veterinary practice for continued care and booster vaccinations. More than eighty percent of the animals we see have never been to a veterinarian, so this work presents an opportunity to educate owners about proper health care for their pets. To contact the shelter medicine program to schedule a visit for your shelter or community, please email VTHShelterMed@vetmed.illinois.edu. The Shelter Medicine Program at Illinois has a tremendous opportunity to gather health-related data on the hundreds of animals we encounter. Projects looking at infectious disease detection, diagnosis, and treatment have the potential to help shelters better deal with these significant problems. One ongoing project is looking at student experiential training and how surgery time decreases as students complete more surgeries. This project will quantify the effect of surgical training on student performance. It will be the first scientific evidence that student experiential training improves performance by decreasing intraoperative time. Learn about the mobile surgical unit that was part of a grant from PetSmart Charities. Oftentimes, veterinarians are asked to help out shelters that do not have the resources to employ a veterinarian. As the discipline of shelter medicine has evolved, and the body of knowledge has grown, resources for veterinarians have increased. According to statistics, more than 70 percent of cats who enter our nation’s animal control pounds and shelters are killed. Progressive shelters are recognizing that feral cats should not even enter a shelter in the first place. There are a number of programs nationwide to sterilize, vaccinate, and return or relocate (Trap, Neuter, Vaccinate, and Return—TNVR) cats that are unadoptable. The Shelter Medicine Program at Illinois is happy to work with shelters to develop and implement a TNVR program. Relocation of unadoptable cats should be a last resort. However, when an unadoptable cat cannot be returned to its original environment, then relocation is a possibility. Exposure to the field of Shelter Animal Medicine is intended to create a pool of well-informed veterinarians that will become an important resource for shelter managers nationwide. It is also hoped that this course will foster veterinarian participation in community service and encourage personal responsibility in the area of animal welfare. The goal of this course is to develop an advanced appreciation for the discipline of shelter medicine, and will include topics such as sanitation, infectious disease prevention, diagnosis, and treatment. A significant portion of the course will be devoted to animal population control, including High-Quality High-Volume Spay Neuter and pediatric sterilization techniques. The Year 1 and 2 students will be paired with Year 4 students, shelter staff and volunteers, and will participate in the intake, medical and behavioral evaluation, necessary diagnostics and treatment, sterilization, and adoption of shelter animals as part of a team. Students completing this rotation will observe and perform restraint, handling, and physical examination of shelter animals, including sample collection for diagnostic evaluation. 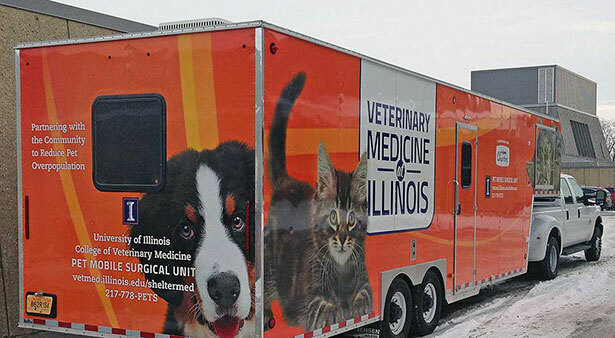 The Shelter Medicine Rotation takes place at Champaign County Humane Society, and other rural shelters in Central Illinois on the mobile sterilization unit. The rotation is designed to give students an overview of the function and operation of an animal shelter, as well as experience in the practice of shelter medicine. Students completing this rotation observe and perform restraint, handling, and physical examination of shelter animals, including sample collection for diagnostic evaluation. A significant part of the rotation is devoted to animal population control, and as such, students get experience with surgical preparation, basic surgical techniques important in the practice of shelter medicine, and post-operative patient management. The Professional Development Module will allow students the opportunity to train in advanced shelter medicine procedures, notably High-Quality, High-Volume Spay-Neuter (HQHVSN) techniques and pediatric sterilization techniques that are necessary for students interested in pursuing the discipline of shelter medicine. Visiting fourth-year veterinary students can spend two weeks in the Shelter Medicine Program taking the VM 612-616 shelter medicine rotation. Private practitioners interested in learning more about shelter medicine and High-Quality, High-Volume Spay-Neuter, and pediatric sterilization, can spend time with the Shelter Medicine Program learning those techniques. The Illinois Student Chapter of the Association of Shelter Veterinarians is a student club at the College of Veterinary Medicine at the University of Illinois dedicated to getting students involved in shelter medicine. It is a registered 501(c)(3) non-profit organization. Dr. Agapis studied veterinary medicine at the University of Thessaly, Greece. As a student she volunteered at various animal shelters, and later on in private practice she continued her efforts to help homeless animals. Shortly afterwards, she realized she wanted to dedicate her life to helping those most in need. 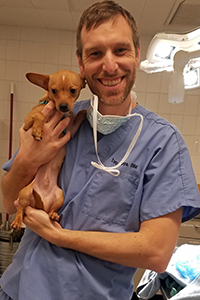 Dr. Agapis has completed the Maddie’s Shelter Medicine Program and earned a Master’s in Veterinary Medical Science with a focus in Shelter Medicine and a Graduate Certificate in Veterinary Public Health through the University of Florida. She has also trained with IVAS in veterinary acupuncture and is a certified FEMA first responder. Dr. Agapis’ interests include population health and behavioral medicine. 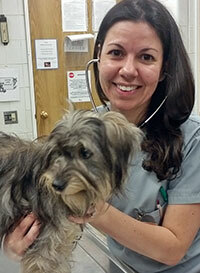 When Dr. Agapis is not with the shelter medicine team, she runs the Junior Surgery Program. Each summer she travels to Greece, volunteering her time to the local stray population on the island of Rhodes. In her free time, Dr. Agapis loves spending time with her family and traveling. Dr. Cappa earned his DVM from the University of Illinois in 2006 before completing a 1-year small animal rotating internship at Texas A&M University. He then returned to the Champaign area and served the local community for 10 years as a small animal practitioner in Tolono before joining the shelter medicine program. His interests include surgery and ultrasonography, along with teaching. When not at work, he and his wonderful wife stay busy shuffling their two children to various activities. He also enjoys working in his yard and staying active through running and basketball. 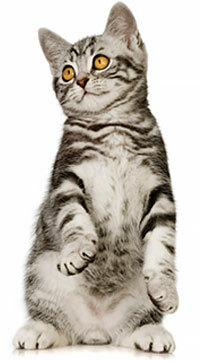 Dr. Valentine earned a DVM from Tuft’s Veterinary School in 2008. She completed a residency in Laboratory Animal Medicine and a master’s in Comparative Biomedical Science at Cornell University in 2011. During that time, she enjoyed working in a high quality/high volume spay/neuter clinic on weekends. She became board certified by the American College of Laboratory Animal Medicine in 2012. Dr. Valentine spent five years as a Senior Clinical Veterinarian at the University of Iowa, before joining the University of Illinois in 2016. She has an 80% appointment as Assistant Director/Clinical Veterinarian in the Division of Animal Resources, and a 20% appointment as Clinical Assistant Professor in Shelter Medicine. 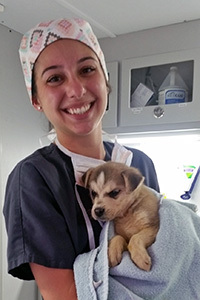 Combining a love of international travel, surgery and teaching veterinary students, she volunteers as a DVM instructor or surgeon for World Vets in Nicaragua, and looks forward to future field clinics in other countries. Outside of work, she is always planning her next international vacation. At home, she has two dogs (Honey and Jetta) and three cats (Bugger, Ella, and Kelly). Dr. Wetz is originally from Fort Lauderdale, Fla., and earned a bachelor’s degree in biology from the Florida State University. During her time at FSU she worked in general practice as a veterinary assistant while volunteering at the Tallahassee Animal Service Center and the Goose Creek Wildlife Sanctuary. 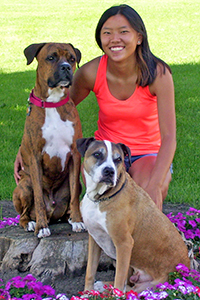 Dr. Wetz studied veterinary medicine at St. Matthew’s University in Grand Cayman and completed her clinical year at the University of Illinois. It was there she discovered her love for shelter medicine. Dr. Wetz is very passionate about community outreach and is hoping to make a difference in the lives of others. When she is not on the unit, Dr. Wetz offers her services to various local shelters. In her free time, she loves to travel, spend time with her friends and family, and go for runs with her Cayman Coconut, Waylon. Kristen has always had a special place in her heart for all animals, large and small. She obtained her veterinary technician license from Parkland College in 2009. Her career has led her down many paths, including several years of experience in general practice, critical care, and internal medicine. 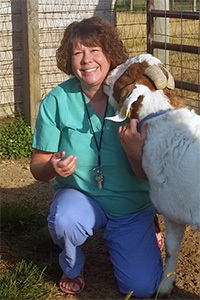 Throughout her adventure she has picked up many diverse skills such as emergency medicine, clinical pathology, special knowledge in endocrine diseases, as well as animal-handling techniques. She is now happy to have found a spot in the community medicine program offered by the shelter medicine service. She aspires to help other pet owners care for their beloved pets and assist shelter animals along the way, in hopes they will remain healthy as they find their forever homes. In her spare time, Kristen is a lifelong learner. She is currently studying environmental sciences and hopes to one day help in the conservation of plants and animals alike. When she isn’t at work or being a bookworm, you can find her in the garden, out on a hike with her pups, or looking for another adventure with her family and friends. 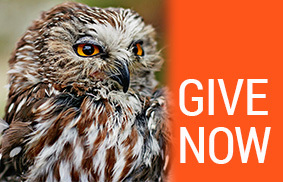 Heather has had a lifelong passion for animals. As a young child, she dreamed of living on a farm with all kinds of pets. In the early 1990s, she attended the Midwest School of Dog Grooming and became an accomplished pet groomer in the Champaign-Urbana area. From there she attended Parkland College for her degree in Veterinary Technology. Heather joined the University of Illinois team in September 1996 as an imaging/nuclear medicine technician. As her career progressed, she developed an interest in Small Animal Surgery, and trained as a surgery technician. These days Heather teaches third-year veterinary students aspects of surgical asepsis in the Junior Surgery labs. She also divides her time with the shelter medicine service to provide low-cost spay and neuter services to communities. In her spare time, Heather enjoys her farm, two horses, and goats. She has an interest in gardening and beekeeping and hopes to add hives to her farm soon. As a child, Mikayla could always be found trying to pet a dog, whether it was at the park or at the neighbor’s house. 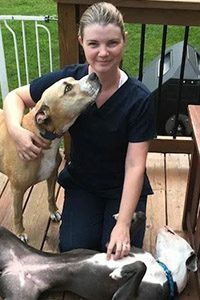 She found her love for veterinary medicine, especially shelter medicine, at her local humane society where she worked for five years. She graduated from the Veterinary Technology Program at Parkland College in 2016. From there, she spent her first couple of years working in the ICU at the Veterinary Teaching Hospital. In 2018, she decided to follow her passion to help the animals who might not have access to the veterinary care they need. Mikayla now serves as the surgery technician for the high-quality, high-volume spay neuter program. Mikayla lives with her dogs, Chase and Ollie, and cat, Mia. When she is not working, she frequently takes her dogs to the dog park and on hikes. She, also, enjoys CrossFit, softball, and spending time with her family and friends.